Random House Books for Young Readers, 9780553511192, 272pp. 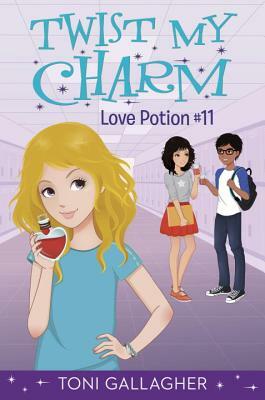 Middle school crushes are WAY more complicated when you have a love potion. Everyone knows love potions don’t really work. But Cleo got one as a gift. And it would be crazy not to at least try it . . . right? The plan is simple: make Cleo’s ex–best friend Samantha and her (secret) crush Larry fall in love. If it works, Sam will be so happy, she’ll want to be Cleo’s friend again! But when Sam gets suspicious, only Larry drinks the love potion. And now suddenly Larry is in love with . . . Cleo? And then it gets worse. Cleo’s dad drank the other glass of punch, and suddenly he’s in love with Samantha’s mom. Which would have been really cool when Cleo and Sam were still friends . . . but now that they’re frenemies? Disaster! Is there a potion to make everything go back to normal? Fans of Sarah Mlynowski, Lauren Myracle, and Wendy Mass will love this fresh contemporary story with just a touch of magic.